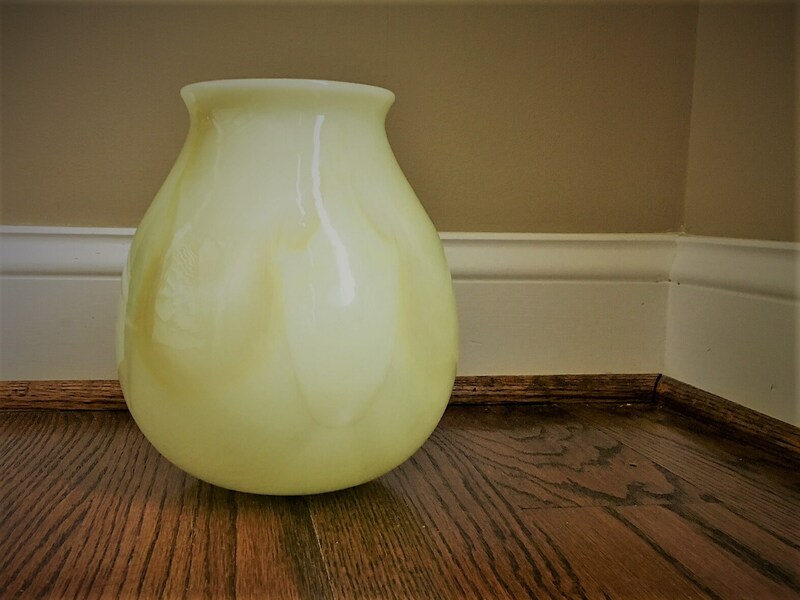 Featured is an awesome vintage opaline vase. 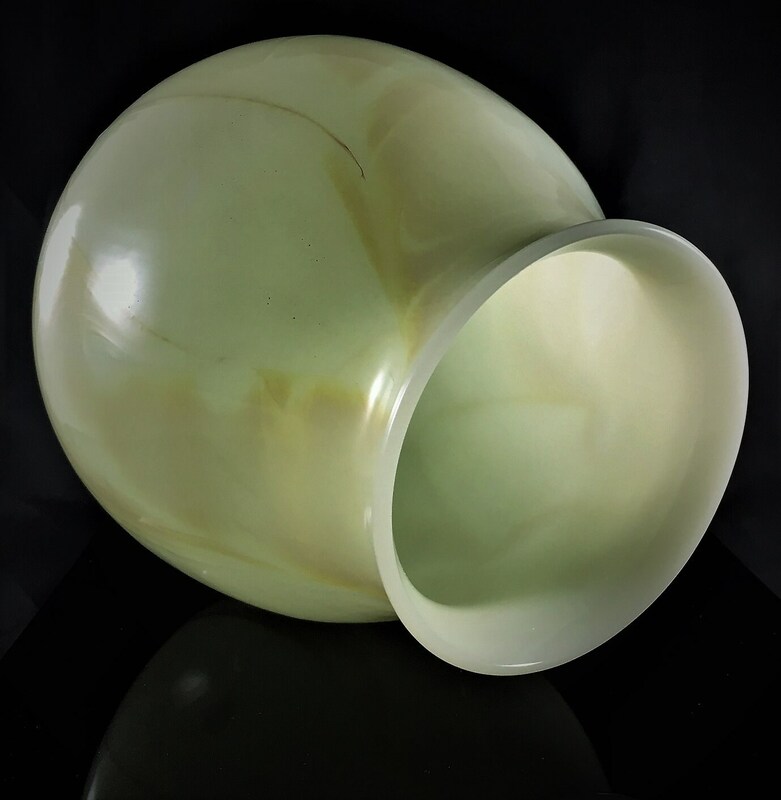 This glass piece could be mistaken for alabaster with its coloring and its translucence. 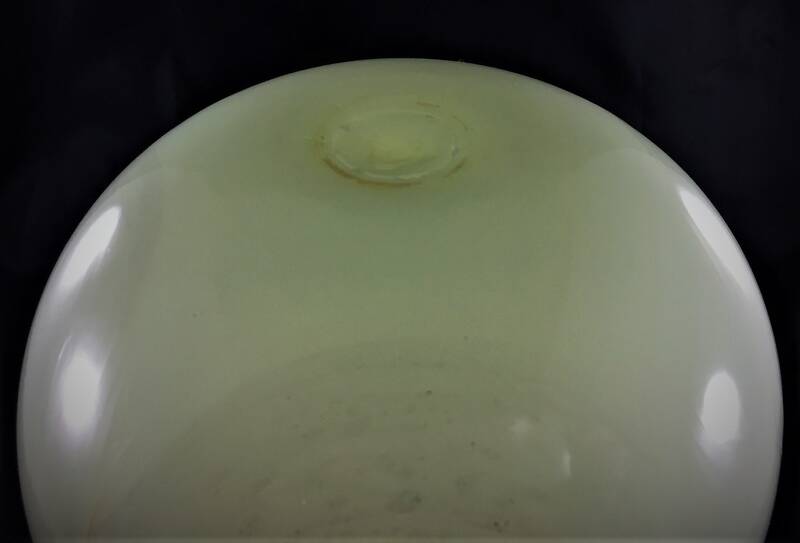 It measures about 7 3/4 inches tall and 4 1/8 inches in diameter at the rim. It is about 6 1/2 inches across at its widest point. It's got a smooth but present pontil. No seams, hand blown glass. Wonderful glow under UV light from the uranium oxide. Excellent condition, free from any chips or cracks. 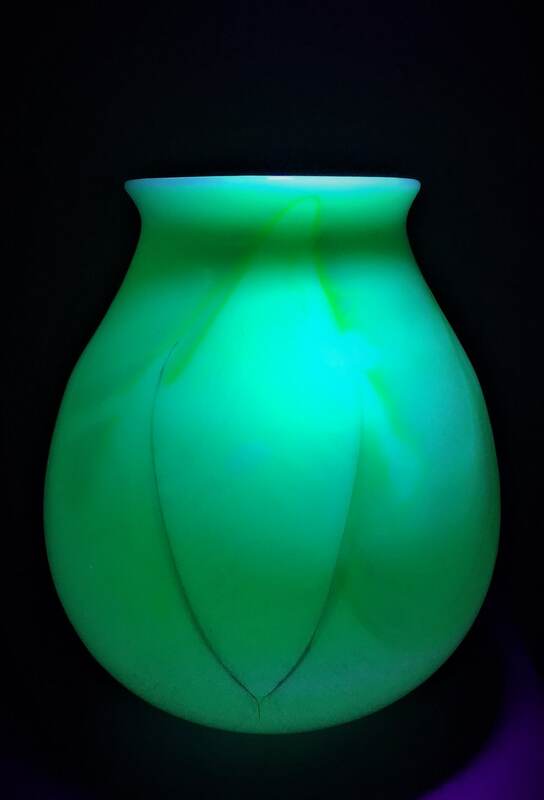 The term "opaline" in current times refers to many forms of opaque and colored glass. In France the term opaline is used to refer to multiple types of glass and not specifically antique colored crystal or semi-crystal. The idea that the term opaline is strictly antique French crystal is incorrect. For instance when shopping in France you may see a piece of American slag glass for sale labeled opaline in reference to the color of glass and not the age, origin or content of the glass. 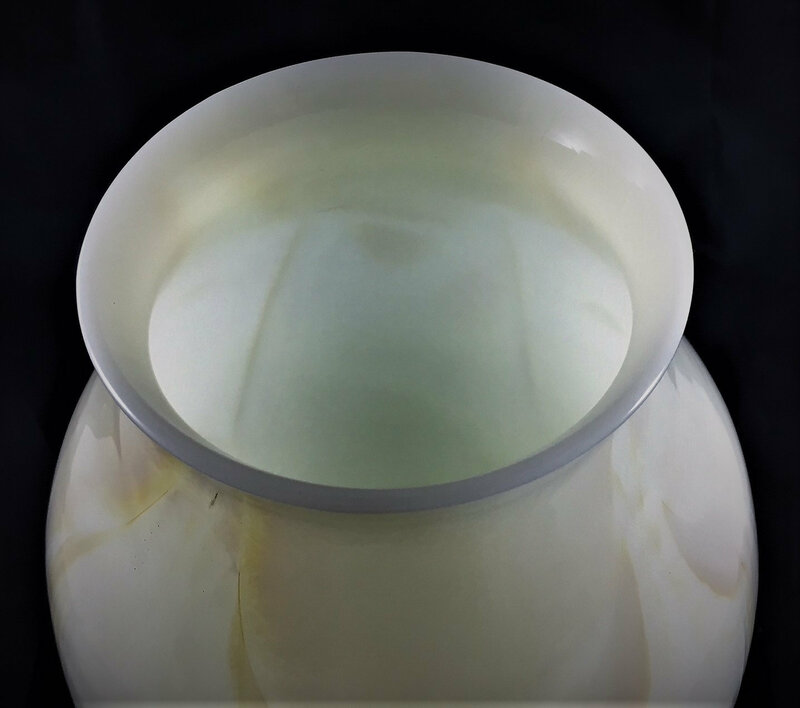 Many different pieces were produced in opaline glass, including vases, bowls, cups, coupes, decanters, perfume bottles, boxes, clocks and other implements. 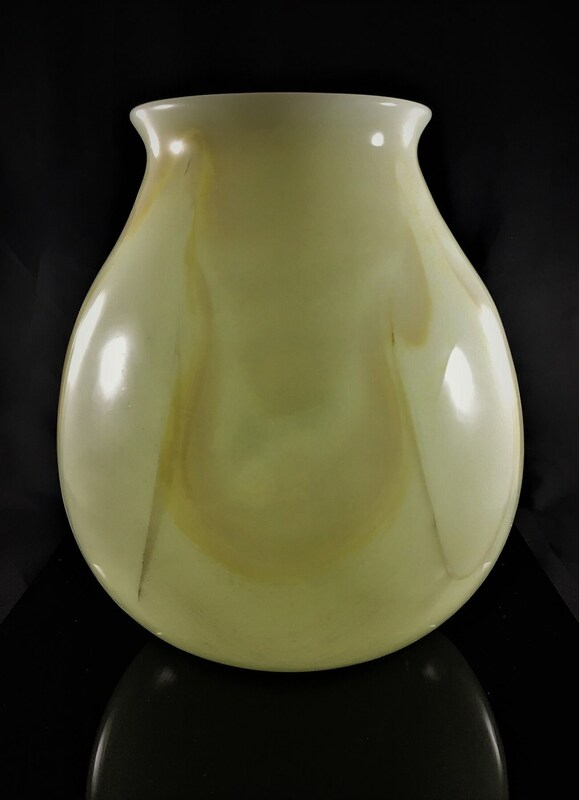 All opaline glass is hand-blown and has a rough or polished pontil on the bottom. There are no seams and no machine engraving. 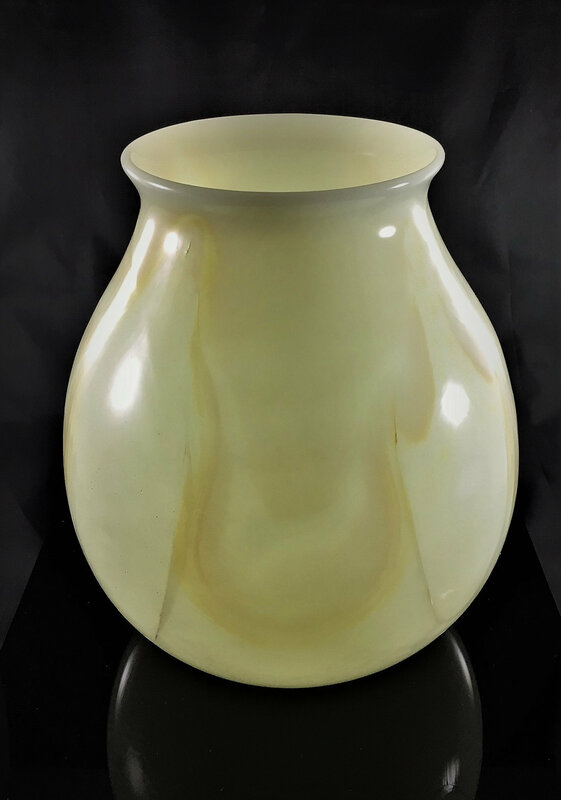 Most all opaline glass is not branded or signed. I'm thrilled; stunning piece, photos don't do it justice. Seller was very communicative and helpful, item was very carefully packed, and the shipping was super fast. Thanks again, Marty!